There is an immense amount of data available in the Information Industry. This data is not of much use until it is converted into some useful information. It is necessary to examine this huge amount of data and pull out useful information from it. 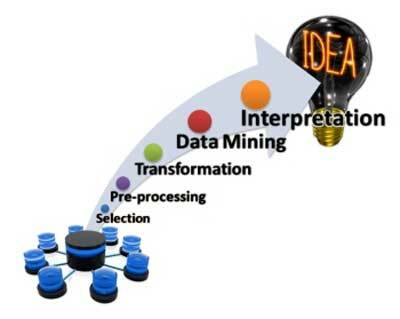 Extraction of useful information is not the only process we need to execute; data mining also requires other processes such as Data Transformation, Data Integration, Data Cleaning, Data Presentation and Pattern Evaluation. When all these processes are over, we would be capable to use this information in lots of applications such as Market Analysis, Production Control, Fraud Detection, Science Exploration, sports, astrology etc. Data mining is the exercise of automatically searching large clusters of data to reveal patterns and trends that go beyond simple analysis. Data mining utilizes sophisticated mathematical algorithms to segment the data and assess the probability of future events. 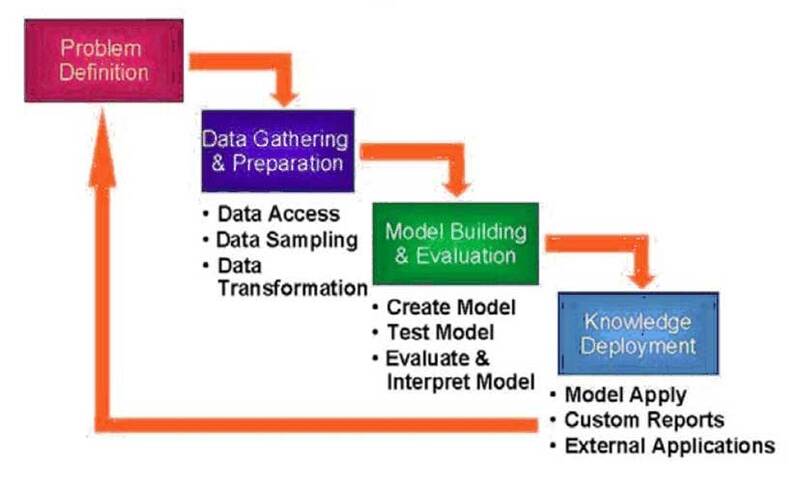 The figure below illustrates data mining phases, and the iterative aspect, of a data mining project. The process flow demonstrates that a data mining project does not halt when a particular solution is deployed. The results of data mining propel new business questions, which in turn can be utilized to develop more focused models. By using software programs to look for patterns & trends in large bunches of data, businesses can discover more about their customers and develop more effective marketing strategies as well as increase revenues and decrease costs. Customer Profiling −Data mining helps in determining what kind of people buy what kind of products. Identifying Customer Requirements − Data mining helps identify the best products for different customers. Determining Customer purchasing pattern −Data mining assists in determining customer purchasing pattern. Cross Market Analysis −Data mining helps in performing association/correlations between product sales. Target Marketing − Data mining assist in finding clusters of customers who share the similar characteristics such as income, interests, spending habits etc.